A little known figure outside of reggae's deep roots circles, Little Roy contributed a handful of undeniable classics to the genre during the 1970s: populace-pleasing hits that were also vehicles for his Rastafari-inspired message. Born during the early years of the 1950s (dates range from 1950-1953) in the Witfield Town area of Kingston, Jamaica, Earl Lowe (aka Little Roy) was inspired at an early age by the songwriting efforts of his older brother Campbell. Though he soon began composing his own material, it was his brother's "I'm Going to Cool It," that a 13-year-old Earl Lowe auditioned for Jackie Mittoo in the mid-'60s, earning him a session at the legendary Studio One. The single failed to "hit" however, and Lowe quickly moved on to rival producer Prince Buster. Newly dubbed Little Roy, the singer only voiced a pair of tracks for Buster before moving on again to the stable of Lloyd "Matador" Daley. Backed by the Hippy Boys, Roy scored his first hit with "Bongo Nyah" in 1969, a song that held the number one slot of the Jamaican record charts during the weeks that followed. By this time, Roy had begun exploring the teachings of Rastafari, having become acquainted with followers in the Washington Gardens area. This turning point led to the crucial decision to seek complete creative control over his music. Deeming the Jamaican recording establishment too conservative for his choice of subject matter, Roy formed his own Tafari and Earth labels with the help of Munchie Jackson and Lloyd Barnes. In 1974, he came knocking on the door of the Black Ark, the studio run by Washington Gardens resident Lee "Scratch" Perry, an eclectic producer known to be sympathetic to the Rastas. Perry set aside studio time for the recording of both "Black Bird" and "Tribal War." The latter proved to be a hit; its status as a roots classic was later assured through the host of versions that followed. Among them were readings by singers John Holt, Junior Reid, and Freddy McKay and DJ cuts on the rhythm by Dillinger, Trinity, and Prince Far I. Roy responded with a string of excellent, Rasta-informed singles for his new imprints that maintained the standards. 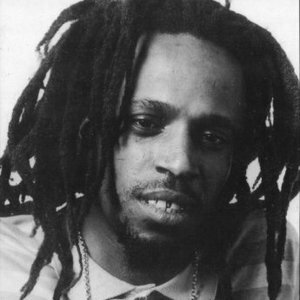 Lacking the backing of a big producer, however, songs as excellent as "Prophesy," "Christopher Columbus," "Earth," and "Jah Can Count on I" eventually receded from view, and Roy's full-length Tribal War LP was given a limited release in the U.S. Roy's finest efforts then were largely forgotten until Pressure Sounds released the Tafari Earth Uprising and Packin' House sets during the second half of the 1990s. Roy continued to record into the early '80s. While "Long Time Rock Steady" and "Skanking on the Banking," a pair of late-'70s 12"s cut for Herman Chin-Loy, found him adopting dancehall techniques, he returned to roots flavors with 1981's Columbus Ship (recorded at Channel One and mixed by Scientist). Laying low for the remainder of the decade, the singer returned with Prophesy in 1989, a collection of his '70s material in old and new guises. Roy was vaunted into the spotlight once again when Victory Dance, a one-rhythm album based around "Prophesy," was compiled at the start of the '90s. Following the release of Live On (1990) and a European tour with Gregory Isaacs, Pressure Sounds owner Adrian Sherwood brought Little Roy into a London studio for the recording of Longtime, ensuring that the singer's vision would live on into the 21st century.